Do you want to challenge yourself? Test your mettle? Do you want to summit Mt. Everest? BASE Jump off the Perrine Bridge in Idaho? Or maybe scale El Capitan? If all those are not adventurous enough, how does driving a tuk-tuk across a country sound to you? 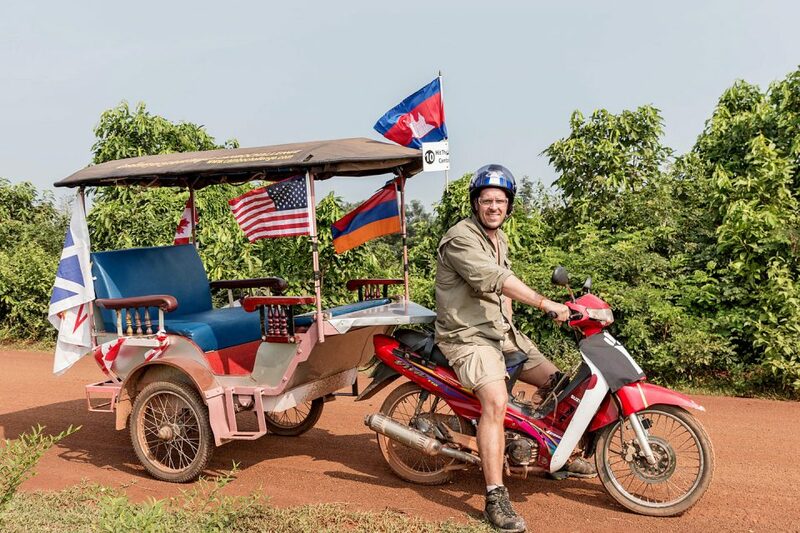 The Cambo Challenge is an incredible 9-day adventure in Cambodia that takes place on a motorized tuk-tuk. And when I say takes place on a tuk-tuk, I mean you are driving the tuk-tuk over 1000 km. While on this adventure, you will be constantly challenged, and occasionally even be putting yourself at risk, where the only necessary attribute is a sense of adventure. There is no special training required, just a willingness to throw caution to the wind and give yourself to Cambodia. The Cambo Challenge is everyman’s adventure. 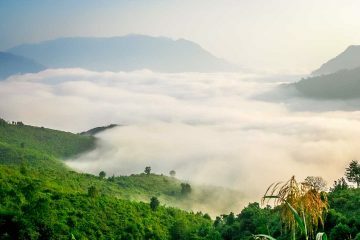 I have traveled to over 100 countries and love the opportunity to travel to off-the-beaten path places and partake in unique experiences. Please note that this is not my first rodeo, as I have also done the 7000 km Caucasian Challenge and the 2000 km Rickshaw Challenge. 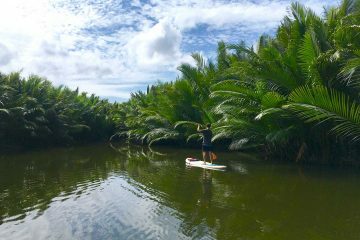 Since I participated on this amazing whirlwind of an adventure in October of 2015, I want to share with you why the Cambo Challenge is a must-do adventure. So…Should You Take On the Cambo Challenge? The Cambo Challenge is not an all-you-can-eat-drink-resort holiday. This is an endurance test. 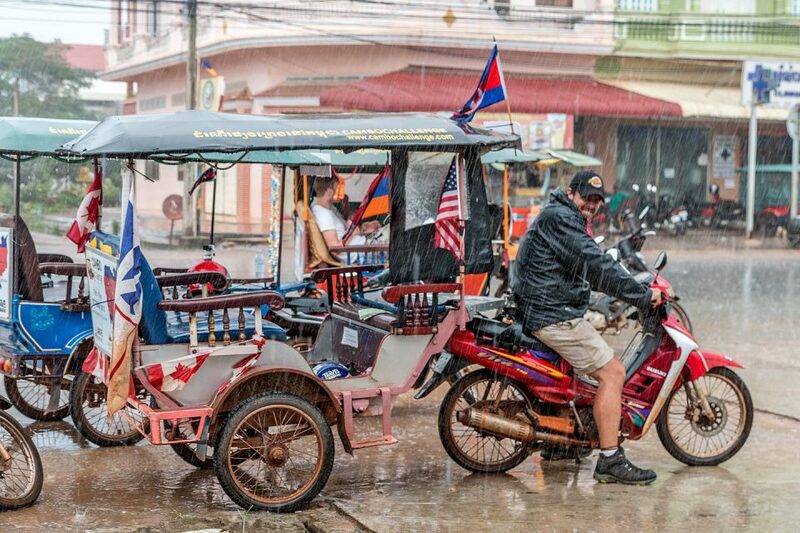 Expect to be on the tuk tuk with your partner for hours, navigating dirt roads in a village or in tough traffic in Phnom Penh, the capital city. As soon as you complete that task, you need to accomplish the same mission the following day. You will also need to bone up on your map reading skills. No GPS allowed. Get ready to interact with the locals for help on directions. Try practicing your Khmer or get good at pantomime. Just remember to smile. The weather can also be challenging. The weather comes in two flavors in Cambodia. Baking hot sun or monsoon-like rain. While driving the tuk tuk, you have absolutely no protection from the elements, and of course, no AC. To make things more interesting, every day, Large Minority, the organizers of the race will present the teams with a set of challenges that you must complete. You have the opportunity to earn points every day which will determine the winner of the event. 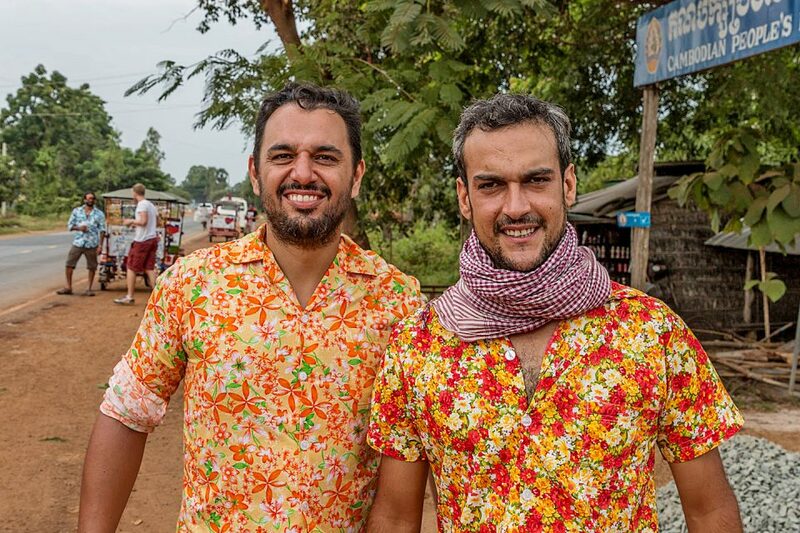 Read: Race Through Sri Lanka on a Tuk Tuk: Do You Have What it Takes? The tuk tuk oozes inappropriateness, I mean, really, just look at it. Picture a small moped with an oversized carriage stapled onto the back. A 110 CC, 4 stroke Suzuki. This contraption is great for short hops across town to haul chickens or a family of 8. But let me tell you one thing, the tuk tuk is definitely not built for cross country trips. Expect frequent mechanical mishaps and breakdowns! And the tuk tuk is short on luxuries. No power steering or radio. Just you and your bike, and a large lumbering carriage. You can also take on this adventure in Sri Lanka! Want a discount code to make this an even sweeter deal? Our Readers get an exclusive 10% off on these epic adventures! Check out the Lanka Challenge here. The Cambodian people are wonderfully friendly and easy going despite just a generation ago being subject to a horrific genocide. The Cambo Challenge affords you the opportunity to have genuine interaction with the locals. It could be as simple as filling up the tuk tuk with petrol or stopping to sip some cool sugar cane juice on the side of the road. Regardless, you will be met with hundreds of smiles throughout your journey. Cambodia’s cup runneth over with resplendent temples. Angkor Wat is the largest religious monument in the world. Watching the sun rise over the temple is truly a magical moment. However, Angkor Wat is just the tip of the spear. In Siem Reap alone are dozens and dozens of spectacular temples. 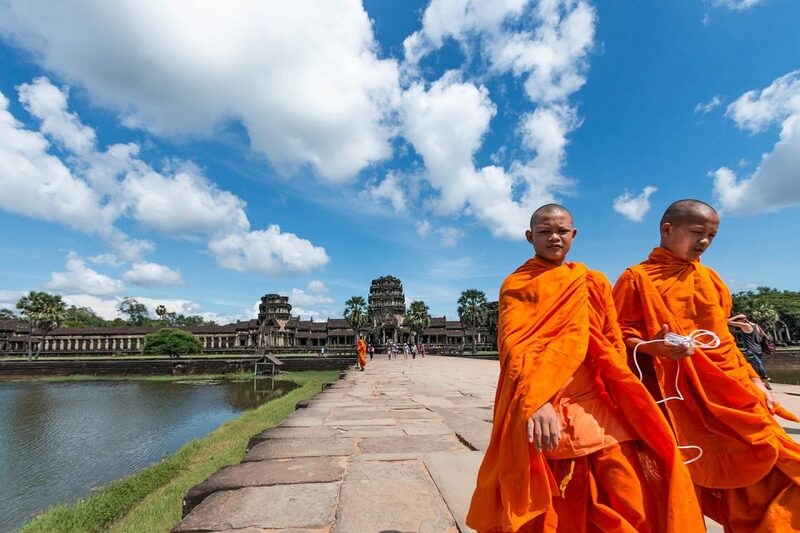 And throughout your road trip in Cambodia you will encounter spectacular temples both modest and magnificent. The Cambo Challenge attracts a diverse group of intrepid explorers from around the world. And every night you get to clink beers as you toast to the health of nations. 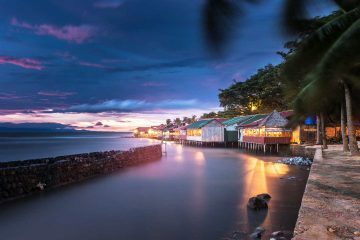 This is a great opportunity to meet like-minded travelers as you stop every night in a different locale. So enjoy that cool Angkor beer after you wipe down that day’s dust and sweat. In addition to participating in the incredible challenge, I was also accompanied with a two person film crew to document this rally. 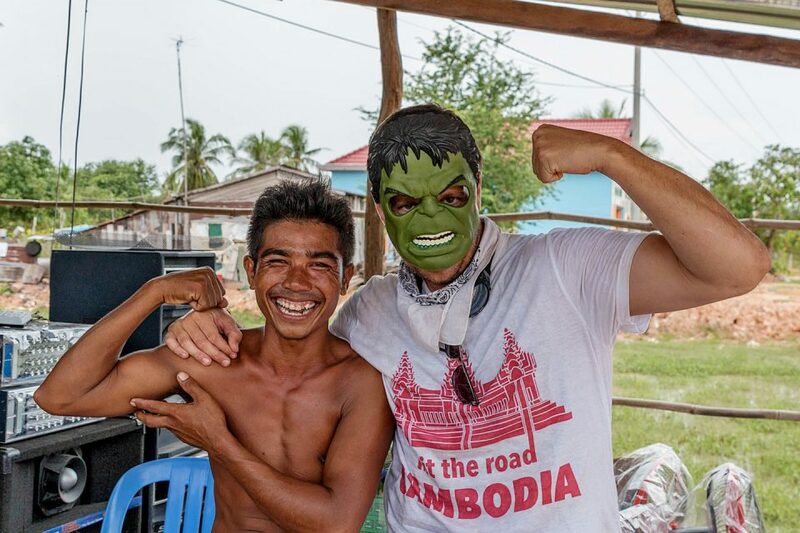 Hit The Road: Cambodia will be released later this year. Hit The Road: is the second in the series, with the first film documenting the Rickshaw Challenge in India known as Hit The Road: India. Want a sneak peak? Check out the trailer below and get packing! You have a couple of options. 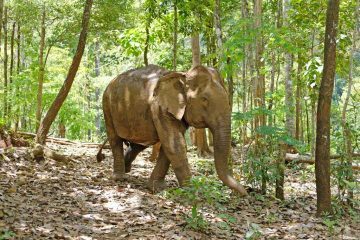 You can binge the Walking Dead on Netflix or you can take on this one-of-a-kind adventure in Cambodia. Choice is yours.